While looking for interesting designs I stumbled upon whichbook.net, which has an interesting solution for displaying search facets. 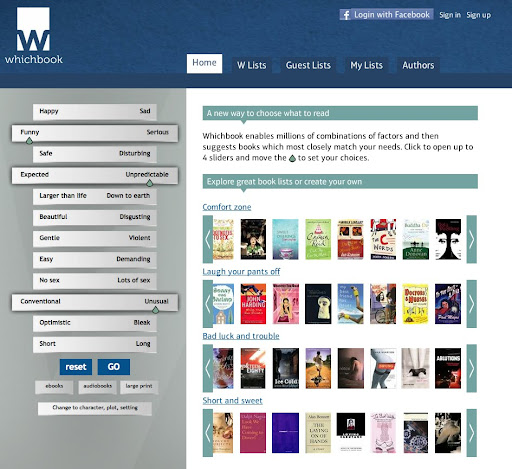 Whichbook.net represents each facet in terms of its extreme values. I found this approach to be very clever, simple and intuitive. Try to apply a more traditional label-per-slider approach to this screen. Maybe you can do better than me, but I could only get to a more complex and confusing list. This is an interesting concept. It was a little overwhelming because there were so many sliders - think it has any possible application to our work?